We’ve always found the world of wine fascinating. We’ve spent years with our noses on the trail of new discoveries – now we’re bringing the adventure home. 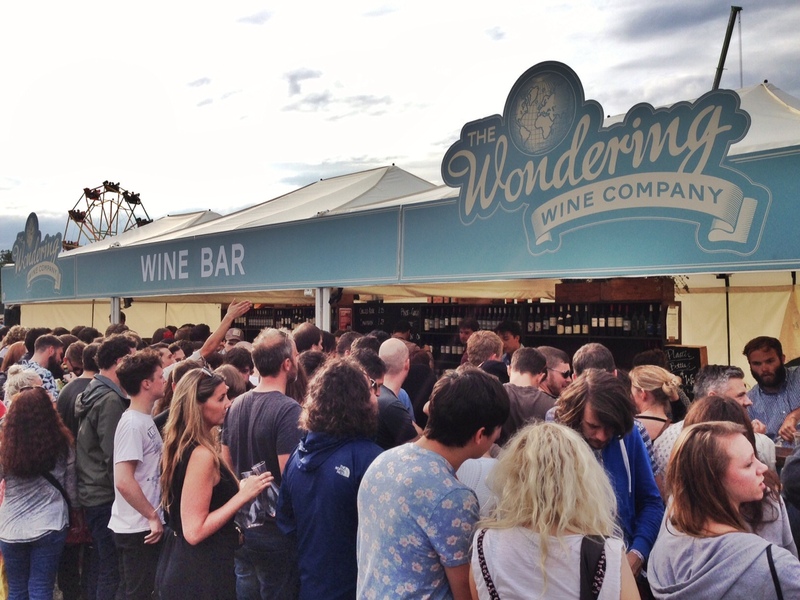 The Wondering Wine Company changes the way wine is served at sporting, cultural and music events. From the moment our fleet of vintage vans arrives until the last drop is served in eco-friendly glasses, it’s an experience everyone will remember. We are offering everyone the chance to work with Fever-Tree and Wondering Wine Company. Those of you who are interested in attending the next training day on Friday 21 April 10am-3pm (location TBC). You will become our new Brand Ambassadors and be invited to come and help us out at all our future events. To be a part of the team, email zdehaldevang@wonderingwine.com. Looking forward to seeing you there! Doesn’t it feel like summer is here already! Wondering Wine, after its new merger with Peppermint, will also be working closely with Fever Tree this year at all upcoming 2017 events. As well as being at the Isle of Wight Festival, Henley Regatta, Ascot, Cowes Week, Lovebox, Citadel and Polo in the Park, keep an eye out for our brands and come and say hello! Happy SUNNY Monday everyone. Most of you already know that we are going to be at a series of events over the next few months. We are in the final stages of completing our online booking system, which will be done through ResDiary. In the meantime, if you fancy a supper club at Cheltenham Jazz Festival, do drop Zara an email on zdehaldevang@wonderingwine.com and she will be sure to get in touch. And if you need to contact the team catch Simon on sswift@wonderingwine.com or Zara on zdehaldevang@wonderingwine.com. So this week marks our last at Old Street Station! What an amazing few months it has been. Thank you all for your endless help – we honestly couldn’t have done it without you. We have seen it all, tube strikes, Valentine’s dates, laughter, Christmas, singing…. and we are going to miss it so much! So this is us, going from pop-up to pop-down, with plenty more events on our 2017 horizon. Thank you again, your support means the world to us. Well goodbye then January! That went a little faster than we all imagined! Our 2017 forecast is looking sunny, packed and wine-fueled! We are busy planning all the alcoholic activity down at Cheltenham Jazz Festival at the moment. To get tickets, or find our more information, check out www.cheltenhamfestivals.com. Hope to see you all there! From all of us at Wondering Wine, we wanted to wish you a wonderful new year. May this year bring you happiness, successful resolutions and much, much more wine. Keep tuned to see where we will be wondering around the UK this year. 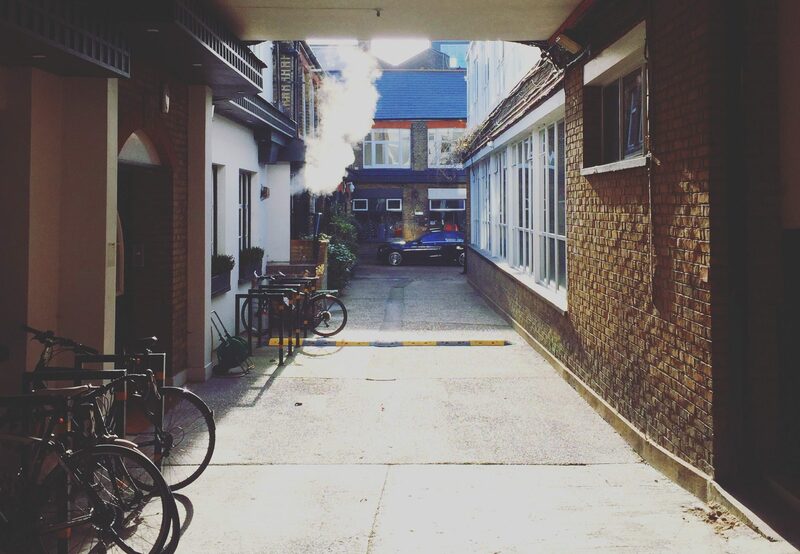 In the meantime, our Old Street Kitchen will be open until the end of February. Avoid the tubes strikes and come and enjoy some wine with us. Old Street – December 24, 25, 25, 27 and January 1 and 2. Please note on New Year’s Eve we will close at 8pm. Until then, we hope to celebrate the Christmas countdown with you! 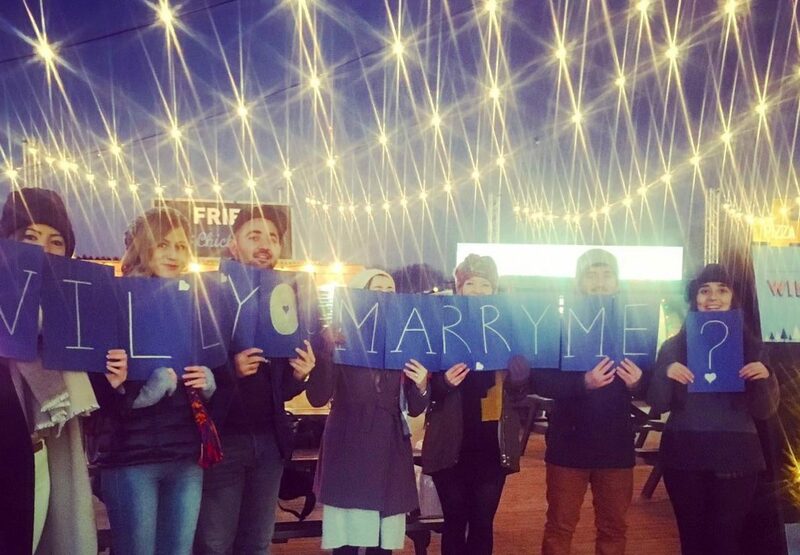 Our highlight of the week was when a happy couple got engaged right outside our pop-up in Hyde Park. With the support of friends, we are SO glad to say she said YES! Congratulations to the happy couple!! We hope the wine from us helped celebrate! Saturday 26 November saw England defeat Argentina 27-14, despite playing 75 minutes with only 14 men. This was our 12th win under Eddie Jones – well done us! We had a bar to keep all the fans fuelled throughout the match, serving festive mugs of mulled wine and copious amounts of beer to celebrate our win. Keep an eye out for us at future matches, introduce yourself to the team and share the Wondering Wine love. 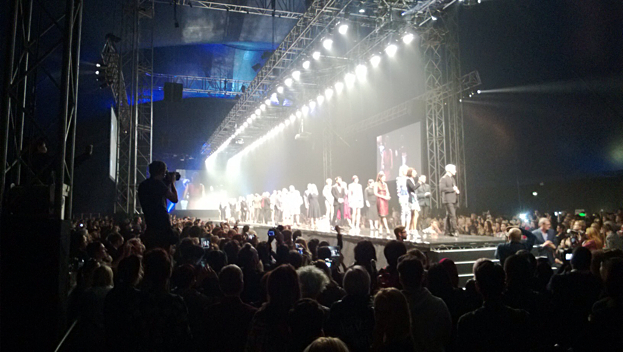 Last week we hosted our first ‘Press Night’ at the WWK in Old Street. The whole night was packed with every seat taken with a number of journalists from all walks of media. To see some of our emotions, check out our new page for some of the mentions. We will let you know when our next one will be, thank you for all of your support! We can’t tell you just how happy we are to see you all down at Hyde Park to celebrate the Christmas Countdown with us. 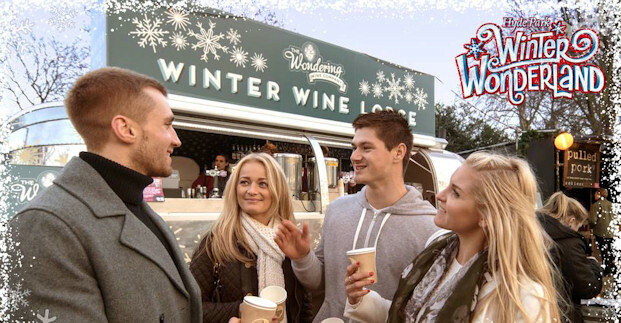 The Winter Wonderland gates have been open for almost a week now and the crowds have been pouring in and helping us in drinking all our wine, mulled, red, white and rose, and plenty more. To find out where we are based this year, we are just in the section by the Giant Wheel. To see our recent pictures, click here. It is officially 47 days until Christmas… but don’t worry. 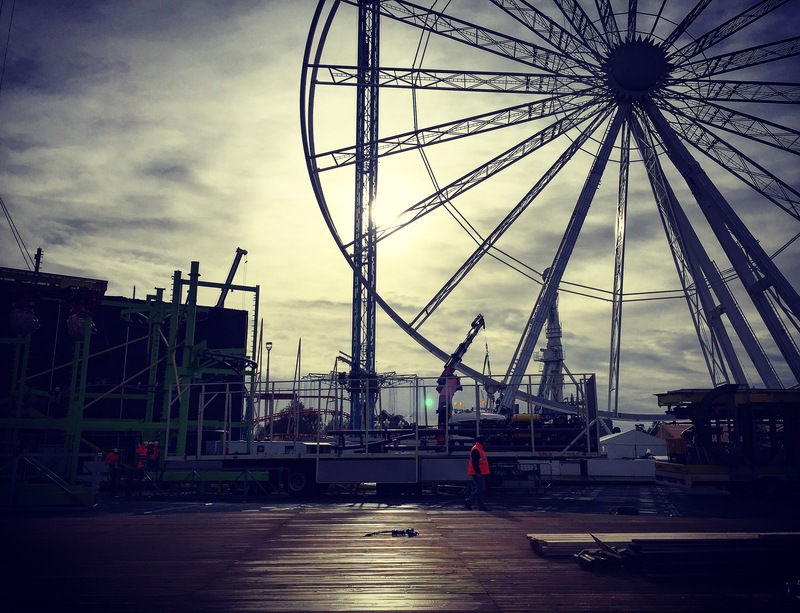 Mark your calendars for 5pm, Friday 18th November when Winter Wonderland officially opens. 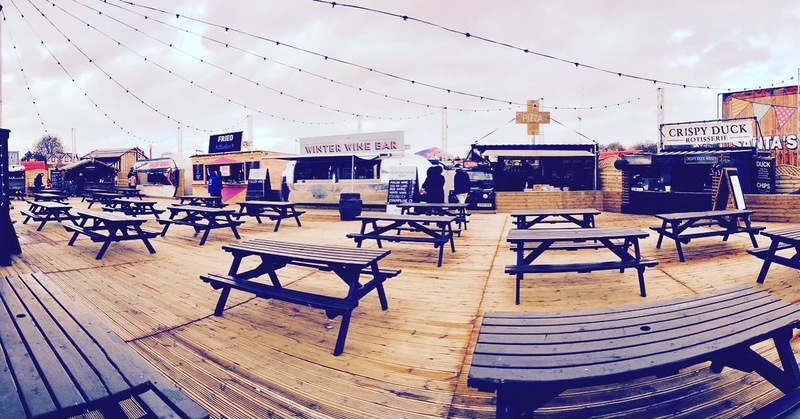 This year we have moved spots, so be sure to come and find us for a warm glass of mulled wine or a tipple of two. Stay warm and wintery with us in Hyde Park. For more information, please check out our social media pages (links below) for regular updates. A debut for 2016, our pop-up restaurant served hundreds of glampers and VIPs for breakfast, lunch and supper on July 8-10. Last year’s Christmas was spent at our very own Winter Wine Lodge in Hyde Park. Our delicious wines came from suppliers such as Castellare and Wynns, including mulled wine and cider, as well as a fantastic range from the Portobello Brewery. Piccini hit the streets of London with a mini tour of the city’s major media houses. 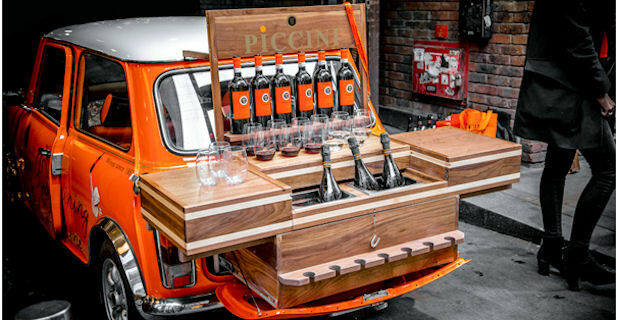 Piccini (located in Castellina in Chianti) is one of Tuscany’s biggest players and head wine-maker, Antonella Conti, presented a selection of their wines in our signature GoVino glasses. Partnering up with William Grant (official spirits and champagne tournament provider for the Rugby World Cup 2015), WWC’s Champagne and Cucumber Parch sold 1,200 Hendricks G&T and 3,600 glasses of Piper Heidseick champagne. 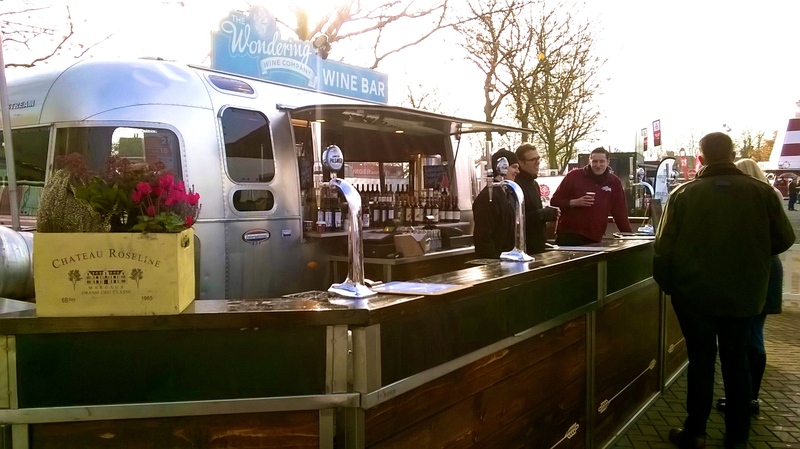 Serving a selection of quality drinks to thirsty fans, The Wondering Wine Company was stationed at Twickenham Stadium, the Millennium Stadium, the Olympic Park and Brighton Fan Zone. WWC operated a number of facilities during the tournament, which kicked off on Friday 18 September with an England win over Fiji. 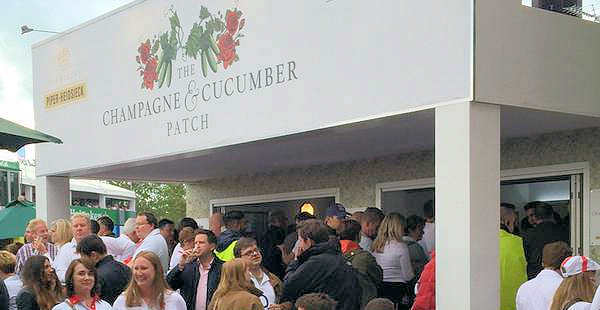 The facilities included the Champagne and Cucumber Patch bar, a new bar brand launched specifically for the tournament serving a selection of William Grant’s Premium Spirits, Gin & Tonics and Champagne; a Piper Heidseick Champagne Bar; and a Hendricks Gin Bar, which sells the Ultimate Rugby World Cup G&T– a new serve designed especially for the tournament. 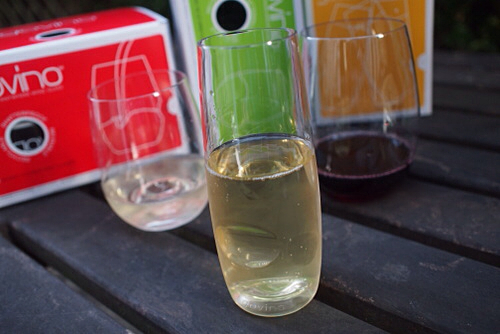 Everything throughout the tournament was served in The Wondering Wine Company’s signature govino glassware – the highest quality polymer glassware currently on the market for outdoor use. This has ensured that customers enjoy the best possible drinking experience. Alex James invites ‘The Old Lady’ back to his farm! Marking this our 4th year in a row, WWC headed back to the Big Feastival held on Alex James’s farm in Kingham. 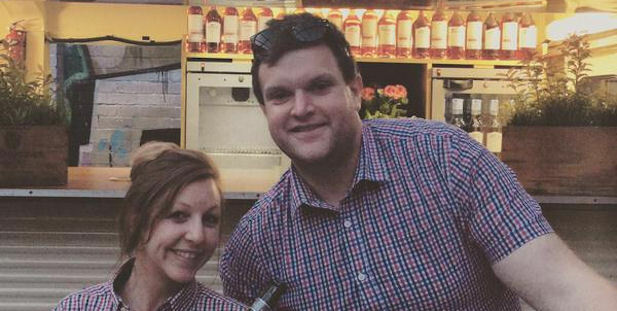 Hosted by Jamie Oliver and Alex James, the festival ran for three days in the idyllic Cotswolds to celebrate all there is about food, wine, music and more! This year we were present with our good faithful ‘The Old Lady’ (vintage airstream) selling a diverse list from the amazing Bibendum PLB Group portfolio. 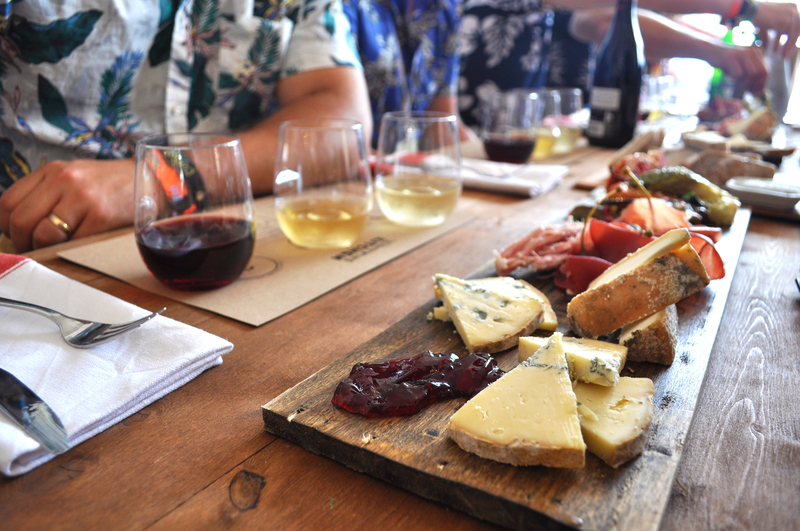 WWC partnered up with Barramundi Wine and brought Australia to the Cotswolds on their #barramundiroadtrip! 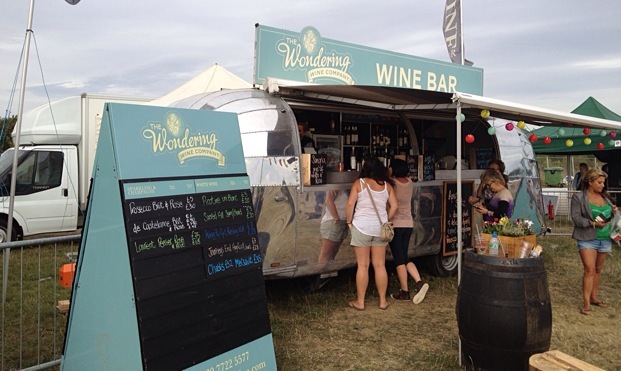 We showcased their delicious Chardonnay and Shiraz from the stunning VW Campervan courtesy of The CamperVin Co. Barramundi is a new brand to the UK so our enthusiastic staff were on hand to tell the Feastival goers all about it. Love the Barramundi Wines or fancy trying them? Get yourself down to your nearest Sainsbury’s and pick yourself up a bottle! Another year, another stamp in our festival passport. WWC returned to sunny Creamfields for three days of music, wine and dancing. 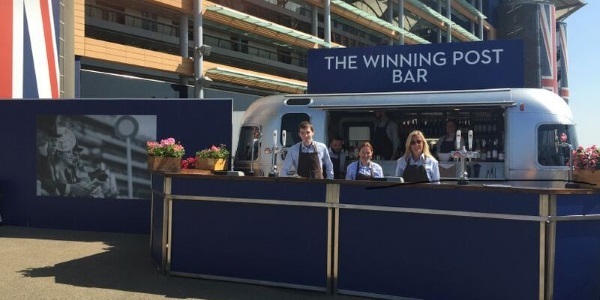 WWC had a few busy months on their hands at Ascot Race Course running The Blush Bar on the groundfloor of the grandstand and the Winning Post Bar ouside, in our very own vintage airstream. Serving everything from wine to Pimms, Beer and Cider, we were found at King George Day, Property Race Day and the RedBull Air Race. 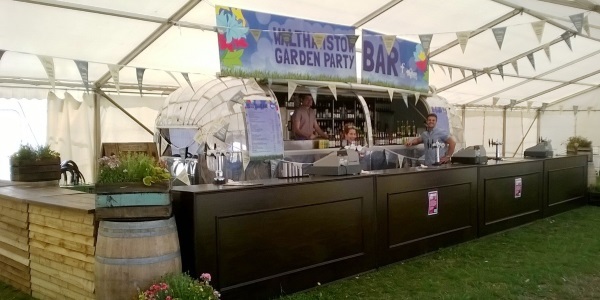 WWC were delighted to work with The Real Food Festival for the second year running at The Walthamstow Garden Party in Lloyd Park. The festival is a free weekend of arts, crafts, food and of course, wine and beer. 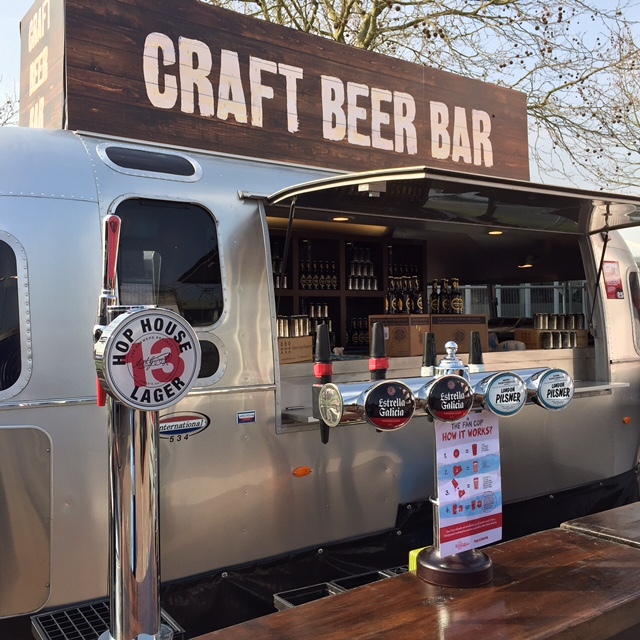 Not only did we take along our fantastic wines, but we also showed our beer and craft offering, serving the likes of Portobello, Estrella, Meantime and Chapel Down. WWC partnered with Portobello Brewery, Moet and Chase distillery to deliver 4 bars, across 3 days at Queens Club for The Davis Cup Tennis. Champagne and a day at the tennis in the sun, go hand-in-hand so what better Champagne to have at this event than Moet. Our Moet bar saw 341 bottles of the Moet range sold over the 3 days.The Chase Cocktail bar also proved to be popular seeing a total of 498 Gin, 104 Vodka, and 144 Rhubarb Vodka 50ml serves sold. A huge thank you to our sponsors for all their support at this amazing event! This year the Wireless organisers decided to add an extra day onto the line up for Wireless Festival 2015. 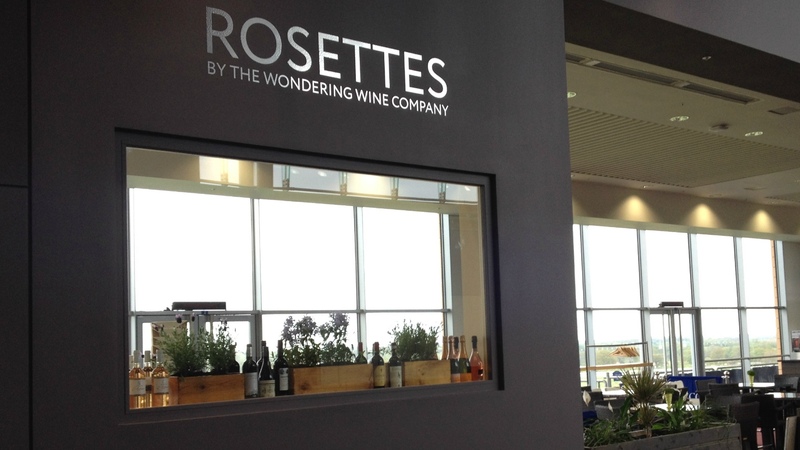 The Wondering Wine Company had 2 bars serving a range of wines from our own label wines through to De Castellane Champagne. 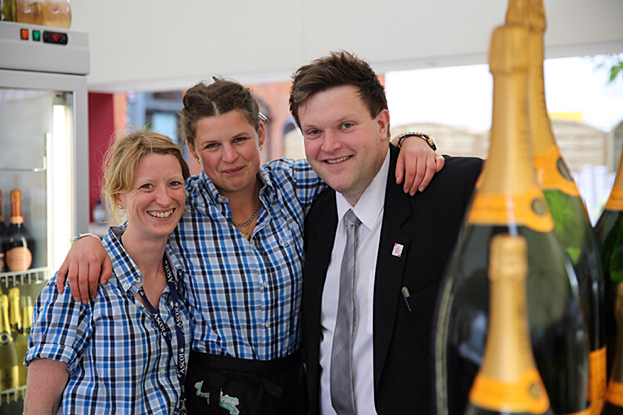 Our friendly team were on hand for the 2 weekends ensuring all visitors to the bars left with a smile, come rain or shine! If you remember our piece on Royal Ascot last year, you will notice we have used the same title for this piece, but this time there is a difference… That’s right WWC have gone from 3 bars up to 4 bars! 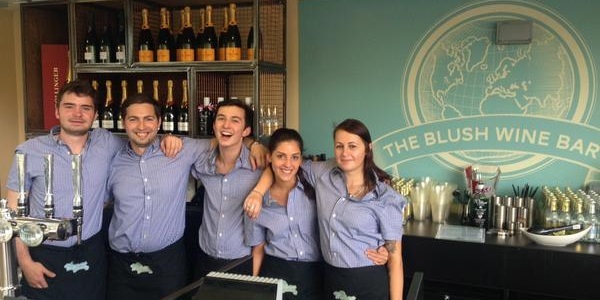 This included the 444 Wine Bar on the concourse, #Likenowhereelse & The Blush Wine Bar on the first floor of the grandstand and Wine at the Shergar in the Royal Enclosure. 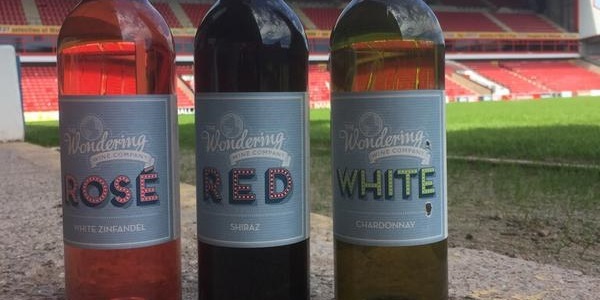 On Saturday 13th June, The Wondering Wine Company joined the very legend that is Sir Elton John at his gig at Walsall Football Club. Elena Parry (WWC Events Coordination Manager) and Mark Schneider (Events Operations Manager) photographed helping out at Auction Against Hunger at Street Feast in Dalston. 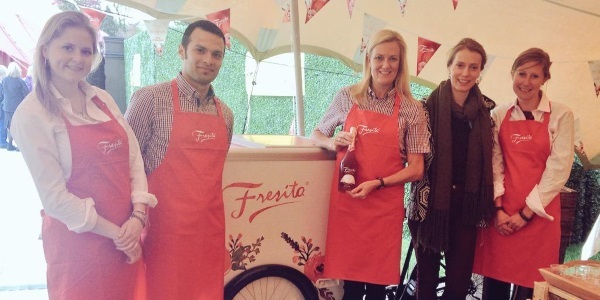 Cheltenham Jazz Festival WWC, Fresita & Finca Las Moras collaborate and get their Jazz on! 29th April – 4th May saw the first of WWC largest of events of the year taking place at The Cheltenham Jazz Festival held in Montpellier Gardens, Cheltenham. 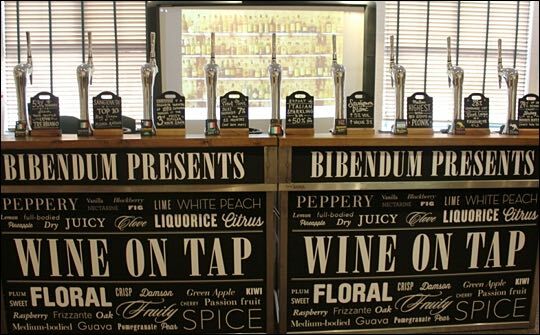 WWC were joined along the way by two Bibendum PLB Group producers. With a team joined by Ian Bell, Chris Woakes and Captain Alastair Cook, England Cricket started their summer with a record win, setting their highest ever ODI score, achieving their biggest ever winning margin and WWC were there to see it all! Our vintage airstream was right at home amongst similar vintage vehicles while mods, rockers, 1950s starlets and starched British Army officers paraded at 2014 Goodwood Revival . The event organisers encourage visitors to dress in clothing that reflects the heyday of the Goodwood Circuit, where top-level motor racing took place between 1948 and 1966. 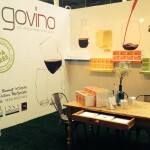 Delighted to be exhibiting govino this weekend at Home in Olympia. If you’d like to have a look at our new govino web site in the making go to: www.govinobeer.co.uk. 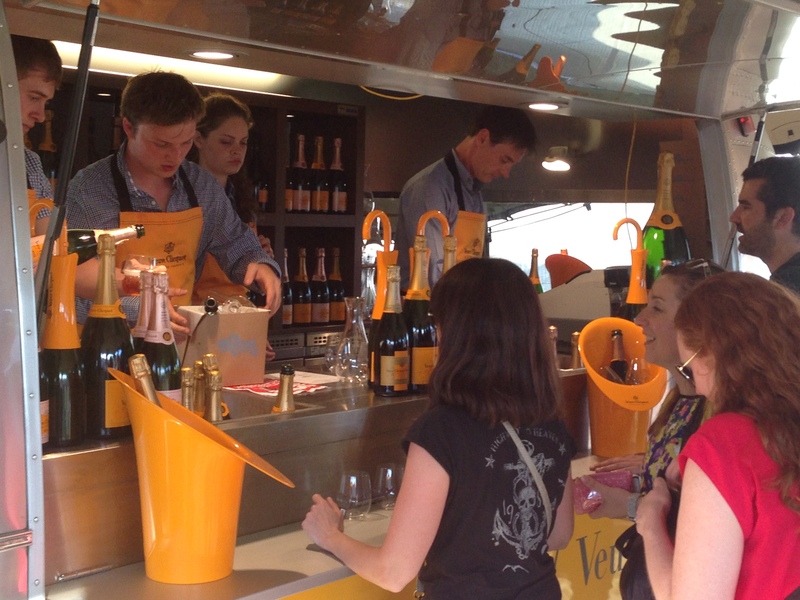 For the 2014 British Summer Time Festival, The Wondering Wine Co. team treated festival goers to Veuve Clicquot Yellow Label, Vintage, Rose bottles and magnums, we even have a few very special Jeroboams for sharing. Our govino Champagne flutes, decanters wondering all over the park with chilled summer bubbles! Our Citroen H freshly polished, a lick of paint, Champagne Lanson, and a floating stage. 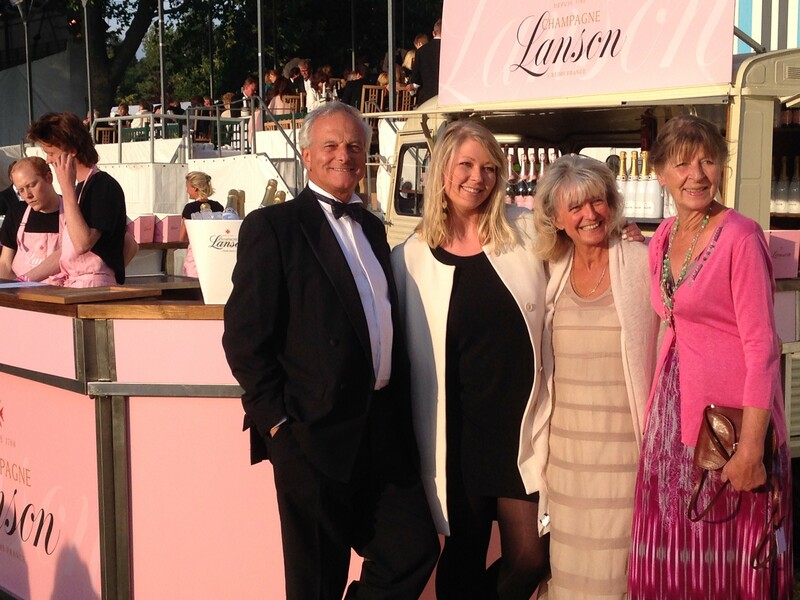 We are all set for the very special and quintessentially English Henley Festival. 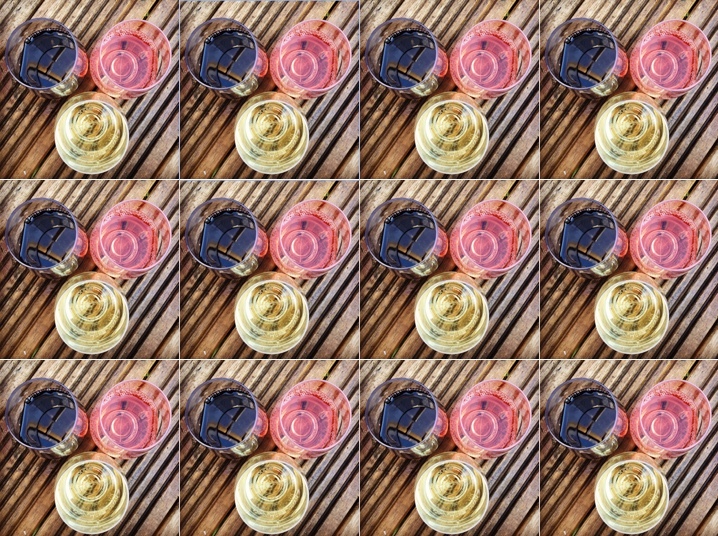 We’ve White and Rose magnums, govino flutes, sunshine and Brian Ferry – what’s not to like! Recently we teamed up with Shepherds Markets to bring our first Pop up market stall. 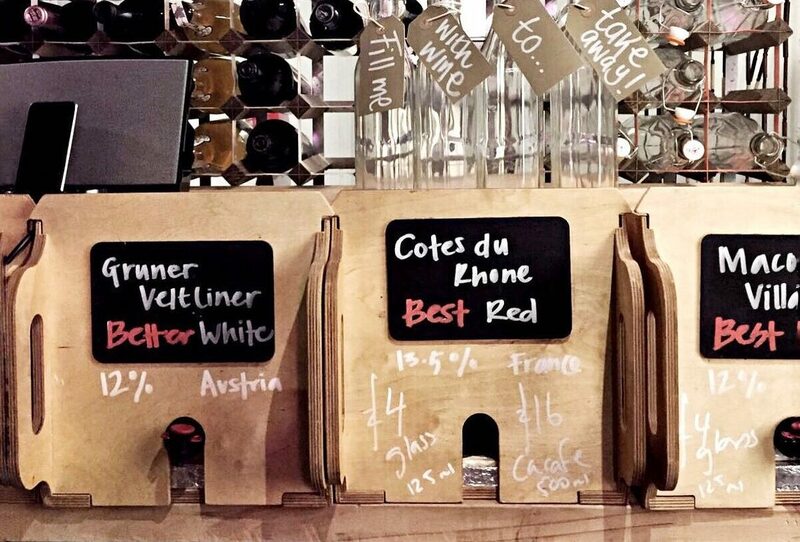 We have hundreds of special parcel wines as well as our staff favourites and a few surprises. 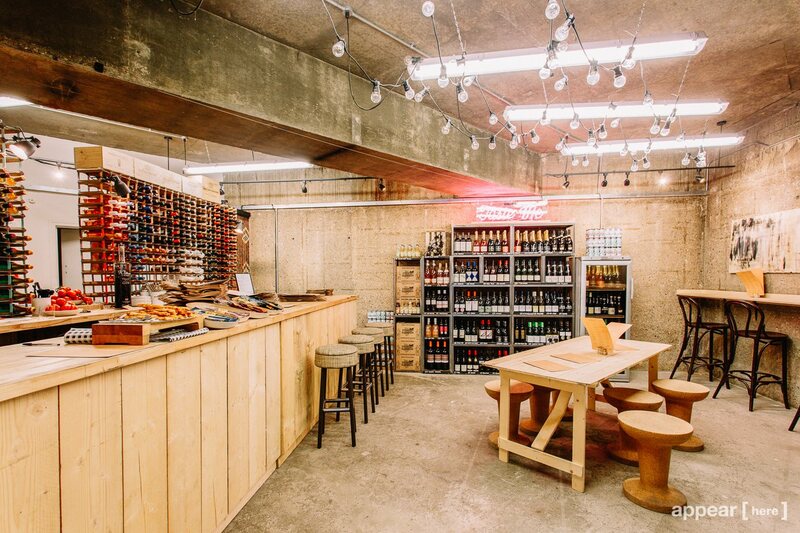 In Victoria and Wapping we are tasting and sampling from 11 till 3. 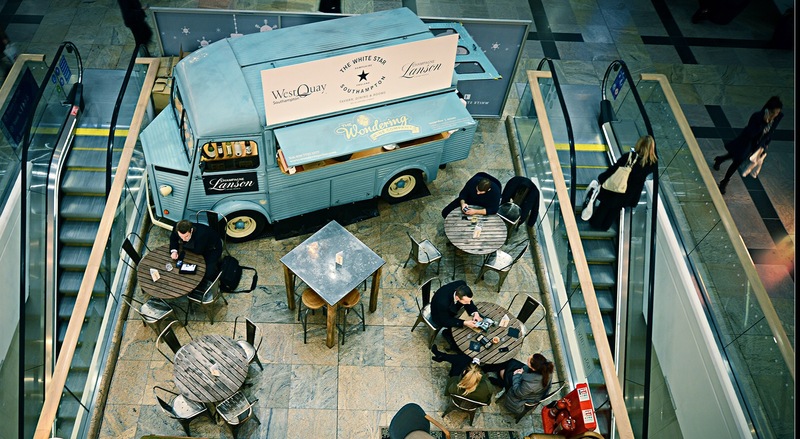 Jo from West Quay commented on the idea behind a pop-up bar, “Adding an area for our guests to relax and un-wind really adds an extra dimension to our guests shopping experience. I’ve had a look at their designs and it looks amazing. 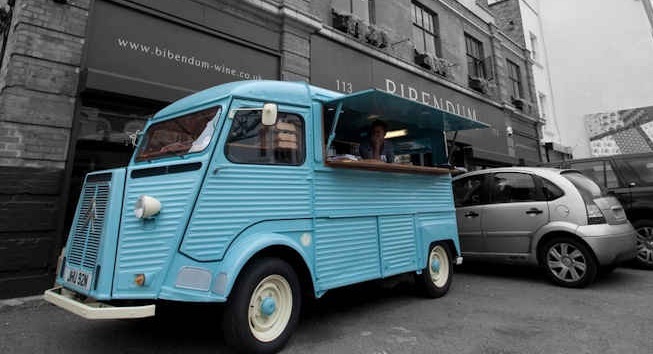 Having a classic Citroen H Van in West Quay with sofas and Lancaster chairs with high backs and winged sides will look great during Christmas and the January sales”. 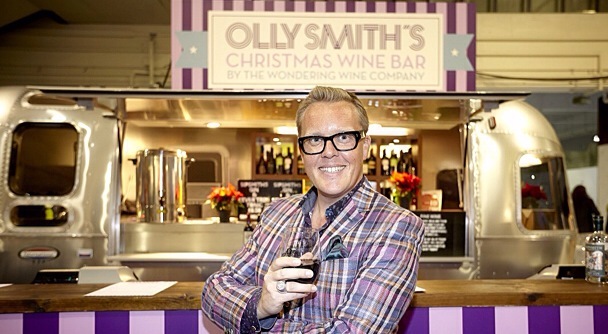 Olly was on top form at the Ideal Home Show Christmas at Earl’s Court. 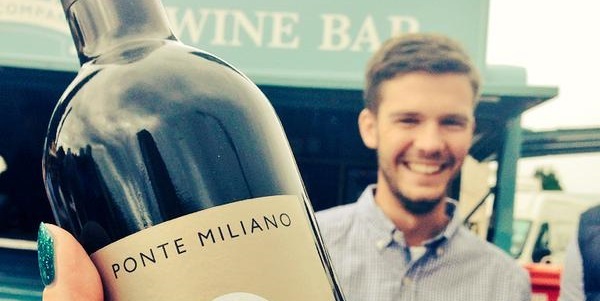 We teamed up with Olly Smith to create a fantastic, fun and bespoke pop up wine bar with a wine list to delight all palates, chosen by Olly and guaranteed to make you feel Christmassy. The Sugarbabes performed then sampled our Winter Spice Cup as the clip shows, watch out for the dancing barman. 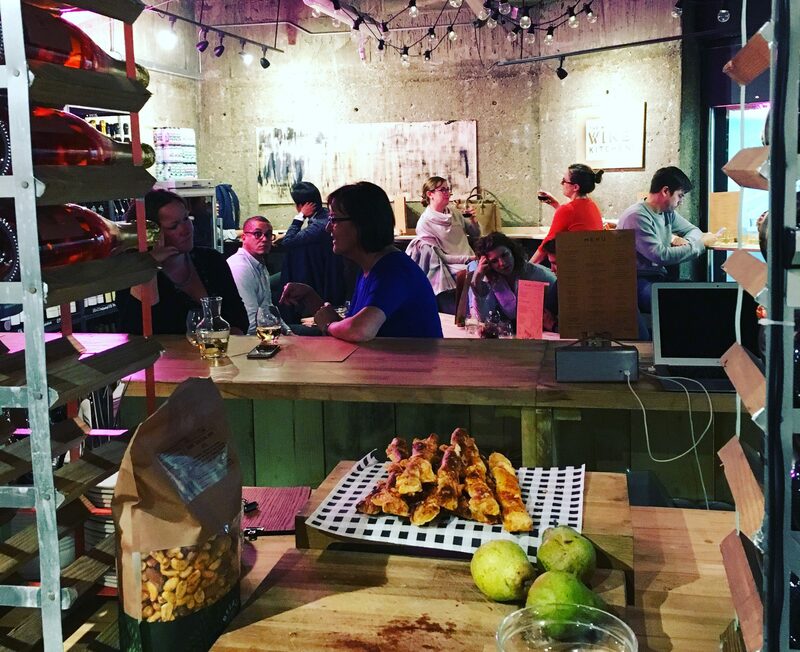 On the fourth floor at our Rosettes bar we showcased the best of British Charcuterie. Racegoers at Ascot tasted and sampled some the greatest cured hams and award winning charcuterie from Cannon and Cannon and Black Acorn. We paired beautiful wines with delicious plates. We want to say a huge THANK YOU to all those who came along to the Old Lady – thank you for making the festival so wonderful. We’re full to the brim with memories and will be sharing them across facebook and twitter so be sure to join us there. 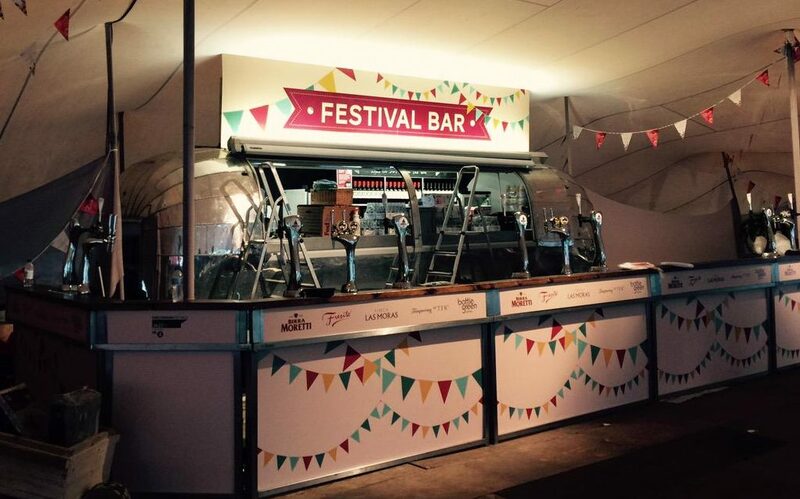 Our Airstream bar was at the 50th Anniversary Festival for Toni and Guy at the iconic Knebworth House. Toni and Guys global gathering included DJ’s and great music acts as well as an award ceremony. Our bar was at the heart of the action pouring great wines and mixing cool cocktails. 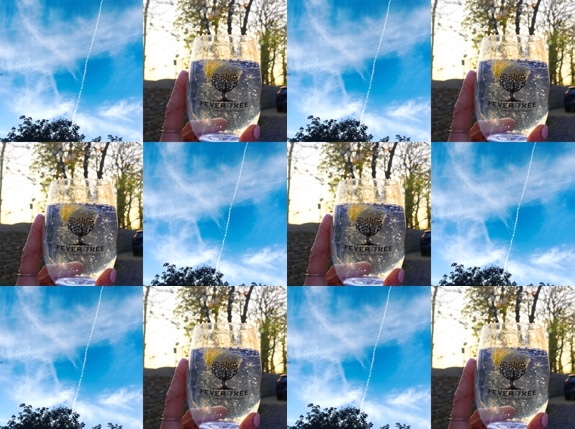 According to Samuel Muston our glasses are the answer to your picnic conundrum, great wine out of cheap plastic glasses, well the answer is govino, drink in style not once but time after time. Our week at Royal Ascot was an extremely memorable experience especially for Her Majesty winning the Gold Cup and effectively handing it to herself. Our little outfit galloped home with space to spare winning all the plaudits and new friends in all of our bars, 444 on the Cedar Lawn, HVan on the Grandstand concourse and our newest addition Rosettes on the 4th floor of the Royal Enclosure. 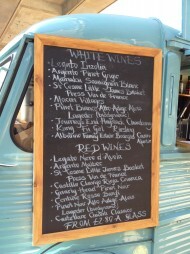 The Sun and the crowds came out for our first foray into Wine and Food outside the offices of Bibendum Wines. The aroma of London’s finest street food greeted the ravenous passer-by where we matched fine wines and glorious cocktails. 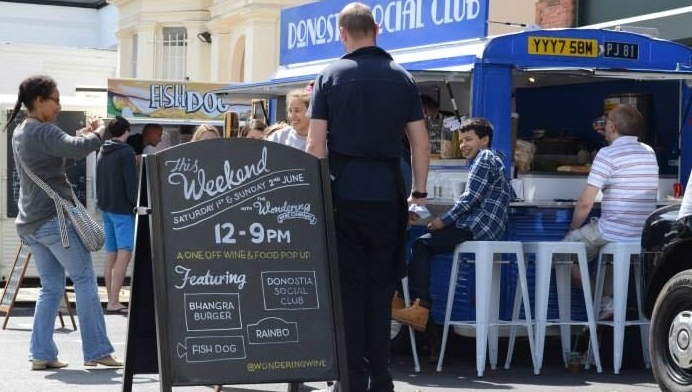 We were joined by Rainbo, Bhangra Burger, Donostia Social Club and Fish Dog on Regents Park Road for the first of many Pop-up events, see you soon. 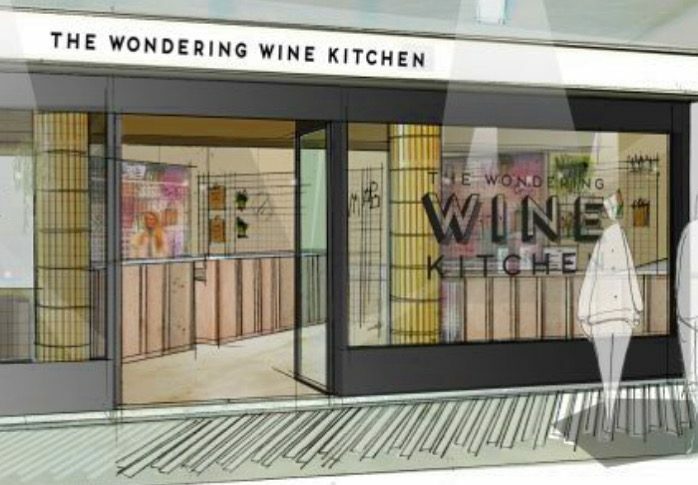 Our first Pop-up wine bar outside the Bibendum office in Primrose Hill. 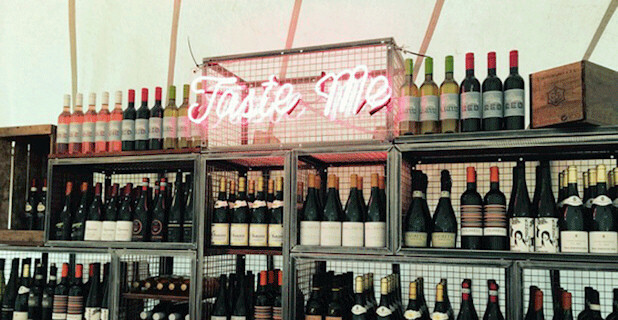 On the 1 and 2 June from midday to 9pm we will be joined by some of our friends, Bhangra Burger, Fish Dog, Rainbo and the Donostia Social Club to serve up great wines matching the coolest food in London. After months of preparation and anticipation Rosettes had its first run out in front of a good crowd at Ascot. It showed some great form in spite of the heavy going and as the wind blew the sound of popping corks rang through the Grandstand. Keep an eye on our Facebook page for updates. Phew what a weekend! The weather played its part as our season started with the sound of popping corks. First stop Montpelier Gardens for the Cheltenham Jazz Festival, the ‘Old Lady’ taking centre stage. On to the Southbank under Jubilee bridge for the gastronomic Real Food Festival with our street food friends. At Newmarket the Champagne flowed for 200th running of the Guineas Festival. Saracens hosted Bath as the Premiership season reached its climax and the Prosecco hit the spot at the Allianz stadium. 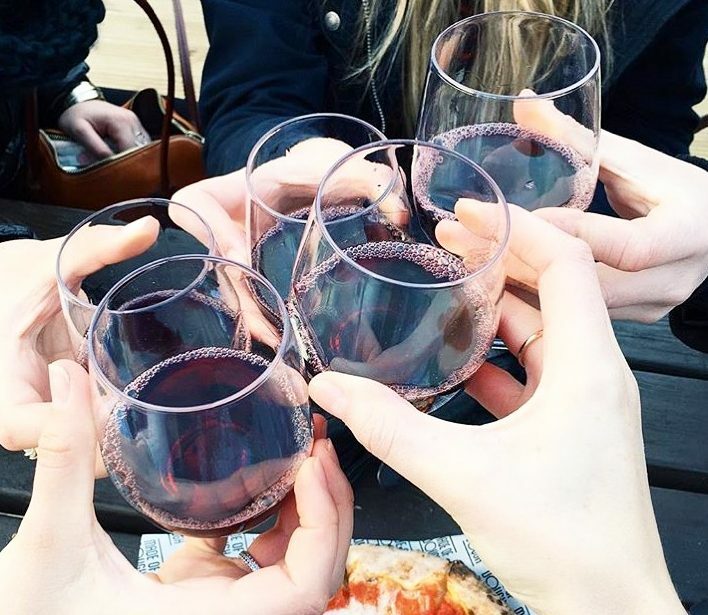 A record breaking weekend full of fun, friends and fine wine – Cheers! Prosecco is on the rise and has been for some time now but must not be seen as a poor man’s champagne, it is so much more than that! We have some truly delicious bubbles in the shape of Jeio Prosecco from Bisol – a family run winery steeped with centuries of history. In the late 1920’s it was Desiderio Bisol who ran the operation, his wife’s affectionate nickname for him was ‘Jeio’ and from here the name of this wine derives. A very cute tale, the wine tastes scrumptious as well; so if you find yourself at one of our many events join us in raising a glass to ‘Jeio’. 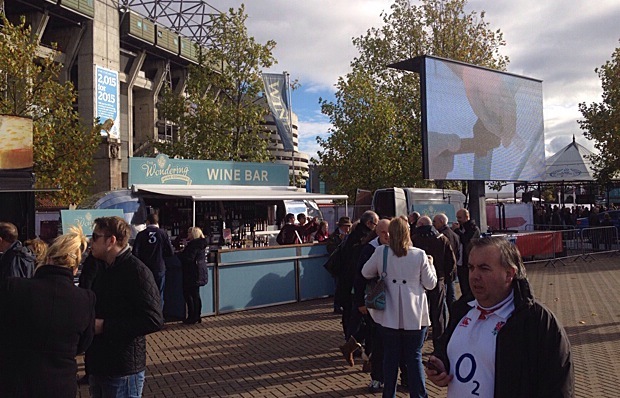 Our residency at the Autumn Internationals at Twickenham has drawn to a close and we’ve had an amazing time serving up our vino to hoards of happy rugby fans. 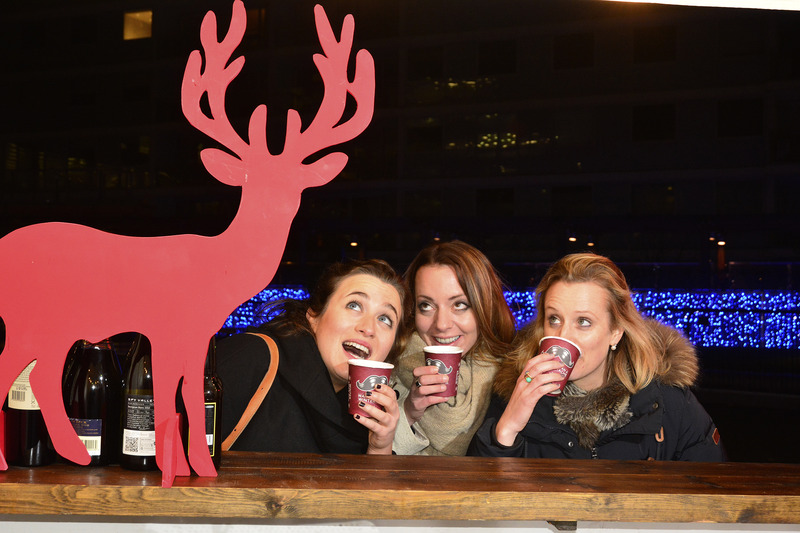 We were not just there for a good time but also for a good cause, warming the crowds (and their taste buds) with our Winter Spiced Cups of Glögg. 20p of every cup sold has been donated to Movember in support of men’s health, raising a total of £276.80 with the help of all you sporting ‘Mo Bros’ and ‘Mo Sistas’ out there. Chin Chin to men’s health! We love supporting a good cause, especially when it involves growing spectacularly questionable facial hair. During the course of Movember we will be at Twickenham for the Autumn Internationals, serving up a delicious winter warmer called ‘Glögg’; a scrumptious Nordic glühwein containing brandy and flavoured with raisins, cloves and cinnamon. A real moustache curler! 20p from every cup sold will be donated to Movember in support of mens health. 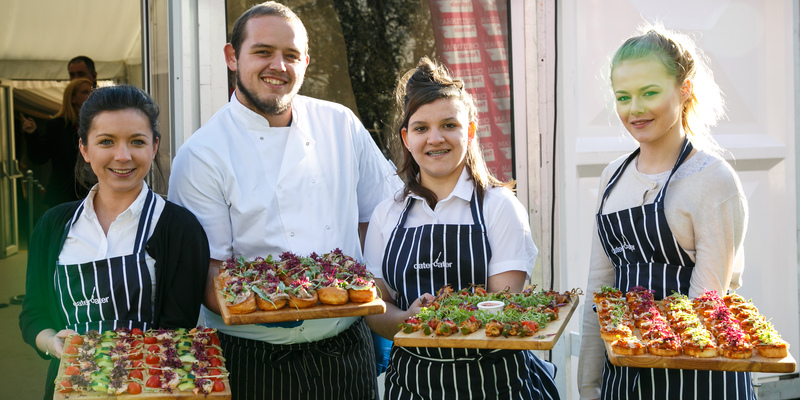 Come and see us in the West Car Park where we will serving up our delicious creation along with some tip-top wines before and after the game. While we were at Jamie Oliver’s Feastival we made a video to let people see what we are all about. If you haven’t seen us in action yet have a little look at the video to learn more about our world. To watch the video click on this link. 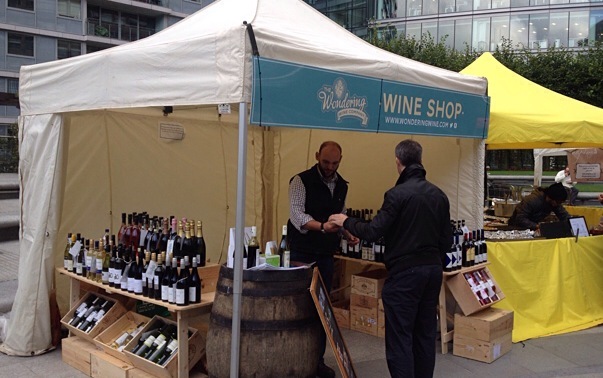 We set up camp on London’s South Bank to offer some of our lovely wines to foodies from across the capital. They came from far and wide seeking amazing food from some of the most creative street food traders around. The Real Food Festival celebrates the best, passion-driven sustainably and ethically produced food; something we at the Wondering Wine Company are über passionate about. Match made on the South Bank: Spicy Eastern Mediterranean curry teamed with De l’Hospitalet Viognier 2011. Whilst wine is out first love, we at Wondering Wine Company are particularly partial to an expertly made Gin & Tonic. 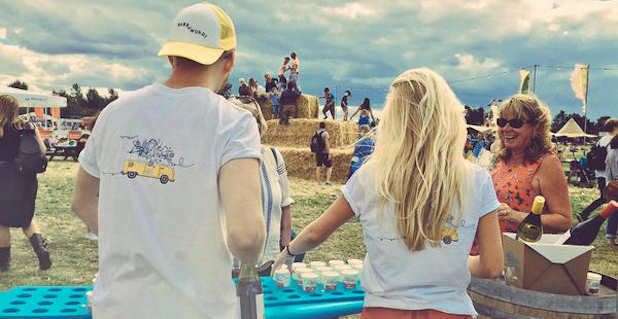 We were super excited to rock up to Jamie Oliver’s Big Feastival, held on Alex James’s farm (of Blur fame) with our friends Fever Tree in tow, who laid on some truly irresistible cocktails topped up with their ultra premium mixers. Between us we were selling our lovely wines and cocktails like the clappers in the delectable govino glassware, which is elegant, shatterproof and reusable. We are happy to announce they are now available to buy online here. We had an amazing two weeks watching all of the Olympic action from the big screen at Hyde Park, where we were housed for two weeks over the Olympics. Whilst cheering on our home team, (and seeing glimpses of the last ever Blur gig) we kept glasses topped up and the crowd happy with bubbles galore. Thank you for all of your support and kind words. We had some amazing feedback and an absolute blast being part of the highs and lows of those two monumental weeks. Something we certainly won’t forget in a hurry. Roll on the Paralympics! We pulled on our wellies at Wireless Festival this weekend and and brought a few smiles to soggy festival-goers face’s with our uber special selection of bubbles. From the finest Prosecco from tip-top vineyards in the hills of Valdobbiadene, to Champagne from the biggest names, we found that the rainy conditions were even more of a reason to celebrate! We will be pitched up outside the Bandstand and Pepsi Max stage for upcoming festivals in Hyde Park, including Hard Rock Calling so make sure you pop your head round and come and see us for a glass (or a bottle) of something delicious. 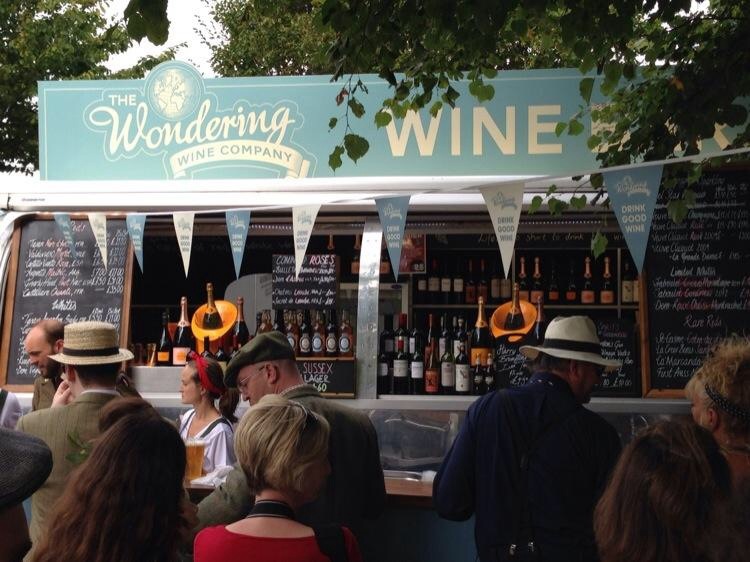 The Wondering Wine Company got their royal on this past weekend at Ascot, where alongside our brilliant wines, we launched our brand new summer cocktail to the racing crowd. 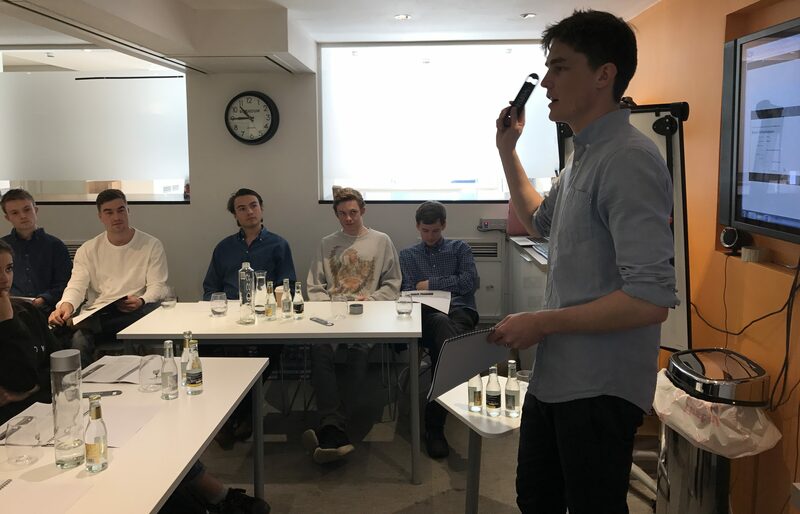 One of our adventurous managers Mark worked with the lovely chaps at Sipsmith to create (…drumroll please…) the Sipsmith Summer Cup. A super refreshing mix of gin and Fever Tree ginger ale, finished with fresh mint, cucumber, lemon and lime, this little number had race goer’s tongues tingling. Our Argentinian producer, Argento, set out a few months back to capture in moving image what makes Mendoza special as a wine producing region. The result is a short film called Cerca del Cielo (Close to the Sky), a collaboration with British filmmaker James Kibbey. Watch the film here and follow a day in the life of Argento’s Winemaker, Silvia Corti, on a journey from vineyard to table against the stunning backdrop of Mendoza, Argentina. We have just received our shiny new shipment of govino glassware all the way from sunny California. The range includes shatterproof, recyclable and reusable plastic wine glasses, champagne flutes and decanters that are designed to look both elegant and make your wine taste that much more delicious. We are excited to announce that we are the only supplier of govino in the UK. Keep a beady eye out on our website for where you can get your hands on them in the near future, beyond our events. We rolled up with our Citreon H-Vans to Cheltenham Jazz festival for a May bank holiday weekend of festivities. 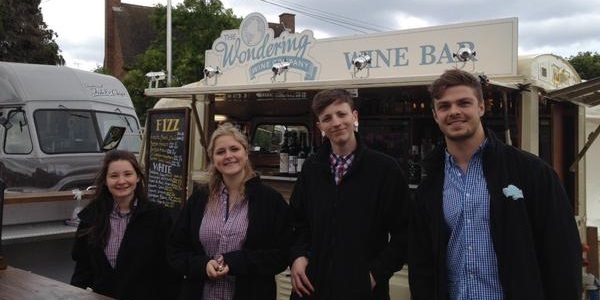 Despite the rain, we battled the elements to serve over 700 bottles of wine to happy festival-goers to a sound track of Paloma Faith and Gregory Porter. 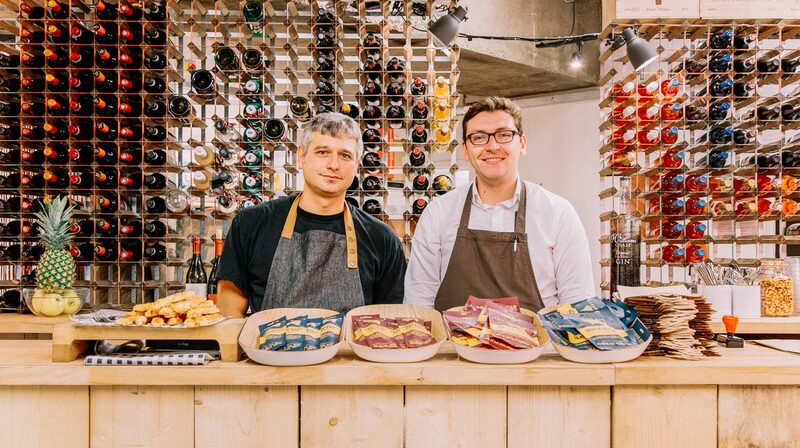 We love collaborating with like-minded folk, and our friends from Pizza Pilgrims and Serious Pig worked with us to match their tasty British charcuterie and handmade pizza’s to our lovely wines. We hope to be back in town for the Cheltenham Literary Festival in October, so keep your eyes peeled on our events page.